The Domestic Curator: I Like New York In June...how about YOU? I Like New York In June...how about YOU? New York is the most ethnically diverse, religiously varied, commercially driven, famously congested, and.....in my eyes, the most attractive urban centre in America. Wow, what a mouthful! 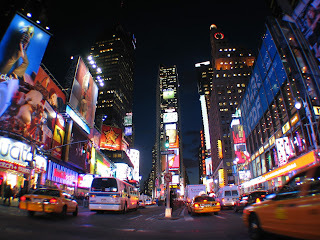 New York City has added 'images' to our minds and words to our vocabulary. 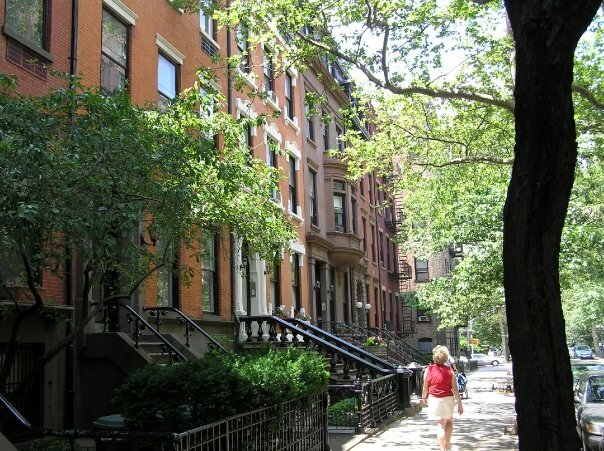 Wall Street means finance, Broadway gives us musical theatre, Fifth Avenue is automatically paired with shopping, Madison Avenue means the advertising industry, and Greenwich Village makes me think of bohemian lifestyles. New York has more Jews than Tel Aviv, more Irish than Dublin, more Italians than Naples, and more Puerto Ricans than San Juan.....bizarre but true. It truly is a teeming metropolis where people of every nation are transformed into Americans—and if they remain in the city, they become New Yorkers. 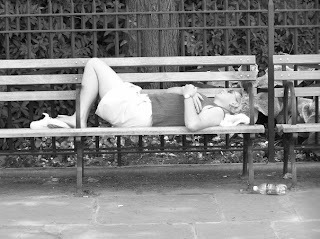 New York is not for everyone. Some find it complicated, over congested and even brutal. 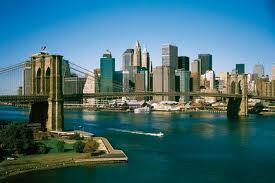 All of these things are true, so why do I find Manhattan to be thrilling and wonderful? I have NO IDEA. I like the chaos, noise and confusion. I love the crowds along Broadway when the now famous music theaters open their doors as the evenings musicals come to an end. I love running for the Cross Town Shuffle or through Grand Central Station trying to make the next train. I 'feel' safe there. New Yorkers are very optimistic people....they have to be or they might run mad down 7th Avenue. What does Sinatra's song say? If you can make it there you can make it anywhere. New Yorkers are a breed all there own and I LOVE VISITING. Mr.P taking a picture of my back! Get a good map of Brooklyn Heights and hop on either the Red Line 2,3 or the Green Line 4,5 Subway that's heading to Brooklyn. 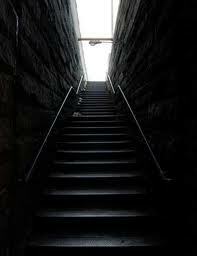 You want to get off at the very first stop in Brooklyn, it will be Clark Street. When you exit the station you will be on the corner of Clark and Henry Street. 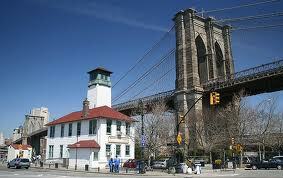 This is an excellent jumping off point, you are now in Brooklyn Heights. Brooklyn Heights is, historically, the oldest suburb of Manhattan. 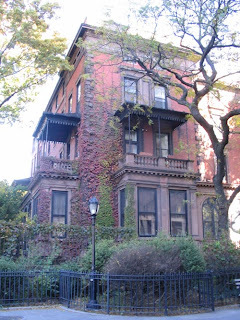 Today the neighborhood still feels old-fashioned with it's ivy-covered brown stone homes lining quiet cobblestoned streets. 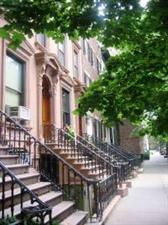 Spend time wandering through the picturesque neighborhood, it is peaceful and shady. 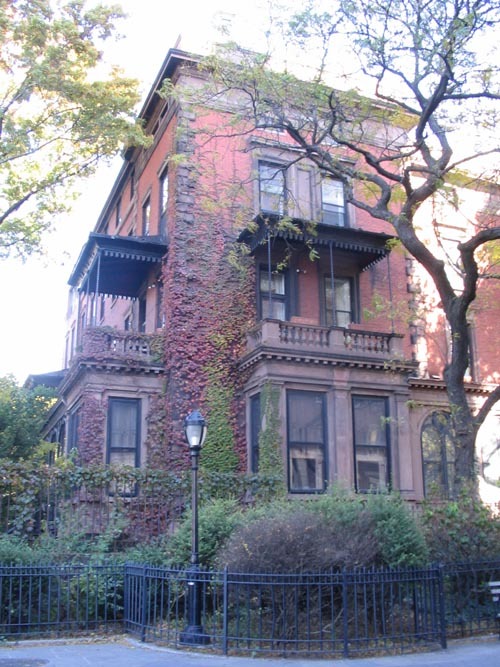 Walk down Pierrepont, there are so many gorgeous mansions that line this street they just can't be missed. When leaving the subway station if you head South down Henry Street, take a right on Pierrepont. 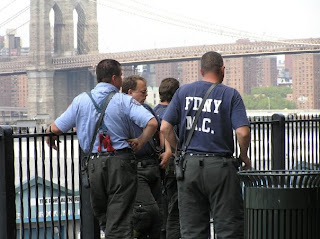 You are now heading back towards the East River and the Promenade. 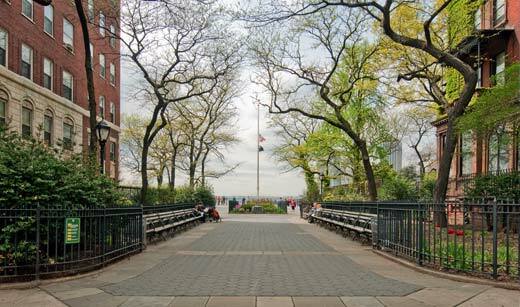 The Brooklyn Heights Promenade will take your breath away. The city is filled with amazing views, but few can top the ones from this scenic third-of-a-mile stretch walk way. 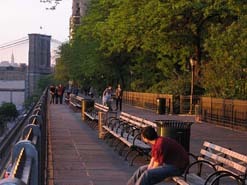 It is one of the most romantic spots in New York City. The Promenade offers postcard-like views of the Statue of Liberty, the Manhattan skyline and the majestic Brooklyn Bridge. 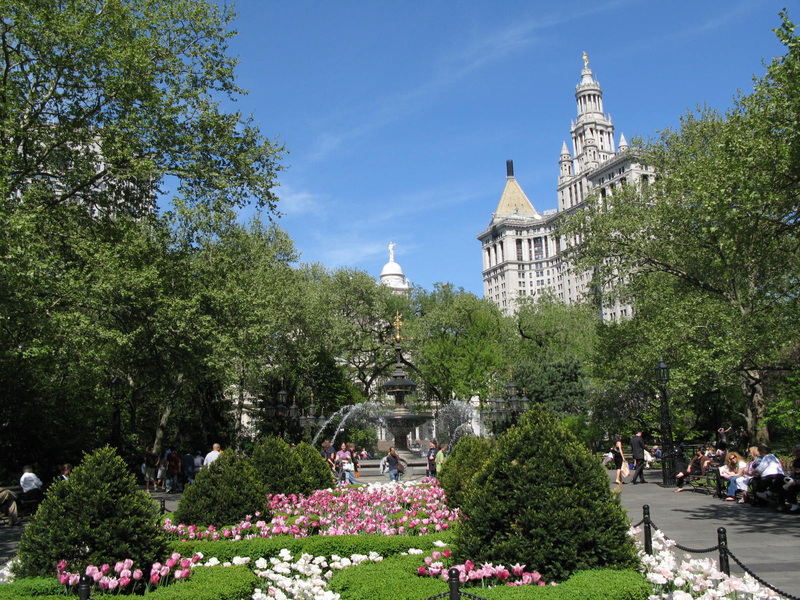 Lined with grand townhomes, mansions, beautiful gardens, ancient trees and benches, the promenade is a favorite destination for New Yorkers and visitors alike. Find a bench, sit and people watch. You will find a cross section of New Yorkers here, from nanny's pushing strollers to NYC Firemen taking a breather. Relax and enjoy the view. Mr.P takes a picture of me resting peacefully! 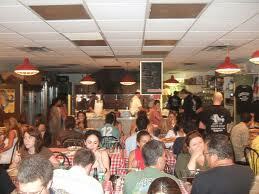 By now it is usually time for lunch and we head to the famous Grimaldi’s Pizzeria to refuel. Grimaldi's is a Brooklyn institution. You do NOT want to miss the opportunity to eat pizza here. 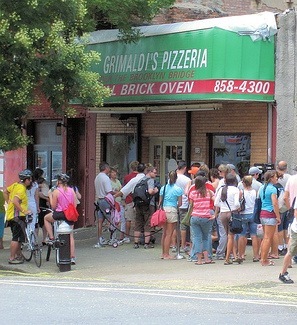 Expect a bit of a wait, there is usually a line out the door, but well worth the sweat and extra time spent. Get to know your fellow patrons as you stand in line because you will most likely be sitting right next to them once inside! 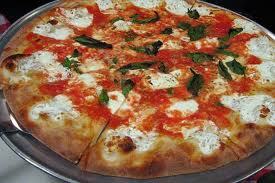 We go for the classic Pizza Margherita, rich sauce, freshly made mozzarella cheese and basil.....YUM! Again Mr.P takes a picture of my backside! 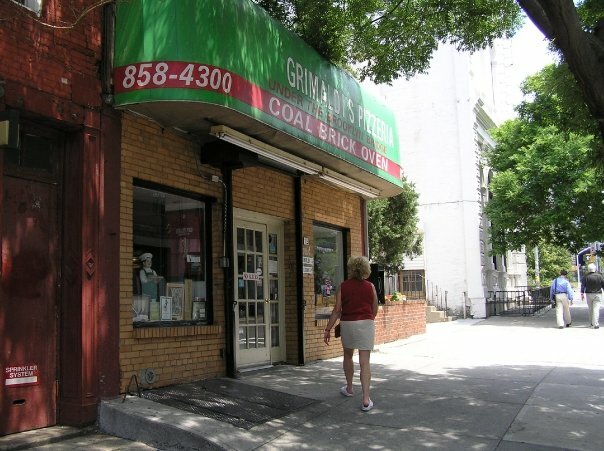 As if Grimaldi's were not enough of a respite, walking out the door we turn to our right and head down the hill to the Brooklyn Ice Cream Factory! 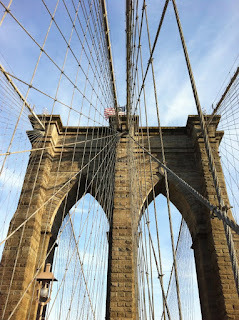 Well, come on, we need something to enjoy as we walk across the Brooklyn Bridge to Manhattan. Good enough reason for ME to break for ice cream! And did I mention that it's delish too? 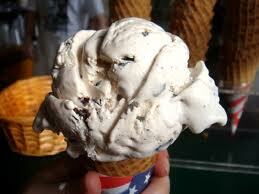 It is a wonderful treat on a warm June day. Hopefully there will not be a line here as well. Grab plenty of napkins for your trip across the bridge. 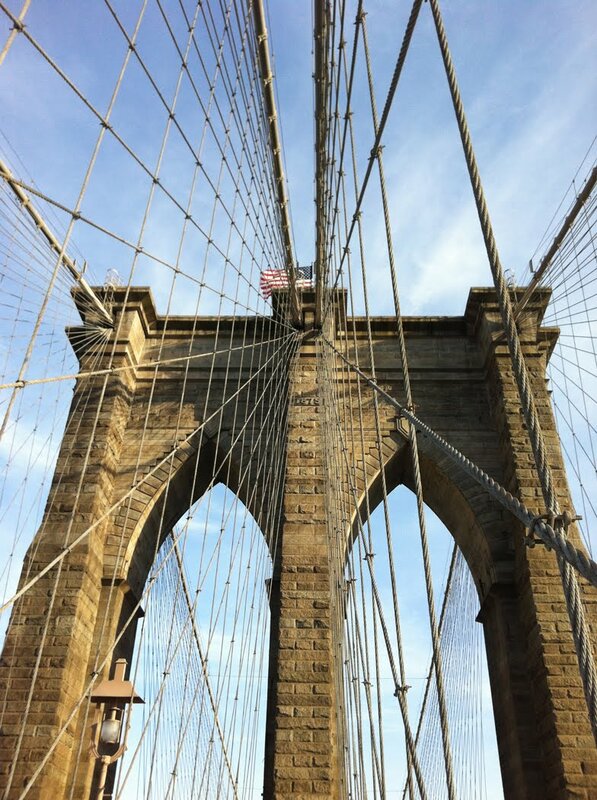 On to the Brooklyn Bridge for the walk back to Manhattan. After leaving the Brooklyn Ice Cream Factory, continue on Old Fulton Street to Prospect Street, make sure and follow your map. Prospect Street will take you past some busy streets and underneath a few expressway and bridge access ramps. Be careful and pay close attention. Where Prospect crosses Washington, look for the staircase that leads back up to the pedestrian walkway on the Brooklyn Bridge. The walk back makes me feel sentimental, wistfully yearning for a different era. I love this old wooden bridge. I love the sound is makes when I'm walking. It truly is a work of art and an engineering feat of it's time. From the bridge you can see great views of Manhattan. 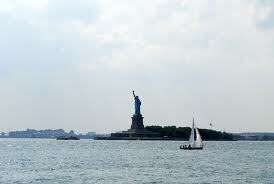 If you didn't notice the Statue of Liberty from the Brooklyn Promenade, you can see her to your left. 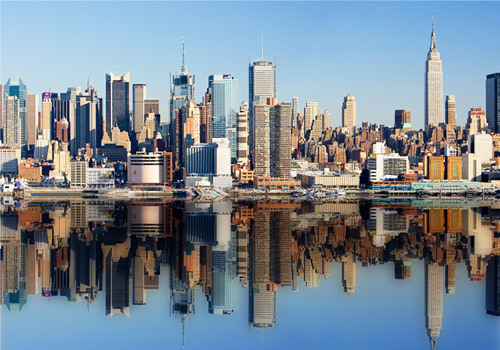 The views of Manhattan's famous skyline are incrediable. Halfway across the bridge is a great spot to take pictures. STOP. TAKE PICTURES! Observe all of the activity on and over the river as boats, helicopters, and cars pass above and below you. People watch, one of my favorite activities while traveling, it can be very facinating! 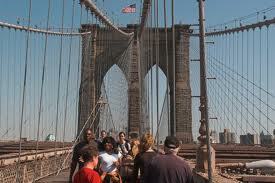 On our walks across the bridge Mr.P and I have seen everything from tours to photo shoots to small film crews. Even a Bride and Groom! 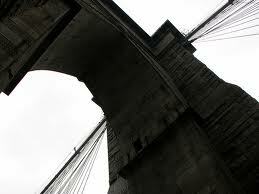 Beautiful sweeping views from the Brooklyn Bridge. 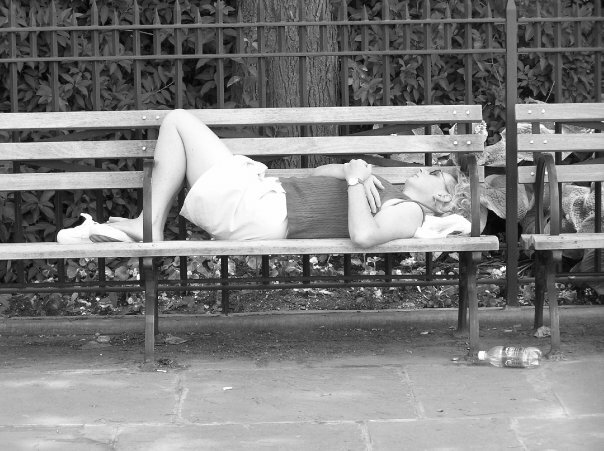 Once you're back on the island of Manhattan, find a bench in City Hall Park and enjoy a bit of people watching. The park is a cool and welcome spot to rest and plan your next adventure, even if you are just planning on where to have dinner. You can find the park across Center Street where Park Row comes to a point with Broadway, pretty much straight ahead of the bridge. Enjoy the cool of the afternoon, get your bearings and people watch. Here is were you may want to part ways with Mr.P and me. 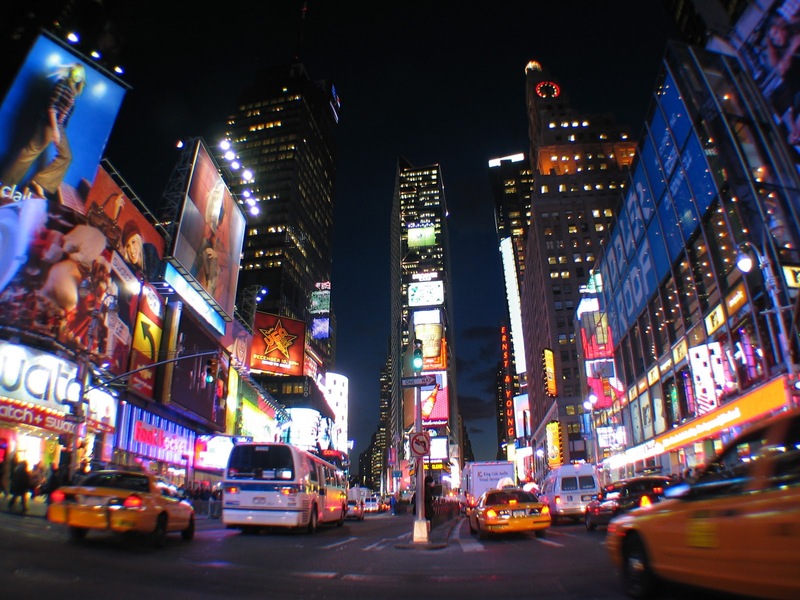 You may have tickets to a Broadway show or heading out to listen in at a local jazz club. If not here is how Mr.P and I end this particular day. MORE walking, yes I know, how could there possible be MORE walking? After resting for a bit in City Hall Park we head uptown on Broadway. Roughly 10 blocks north up Broadway you will find the Cast Iron District. 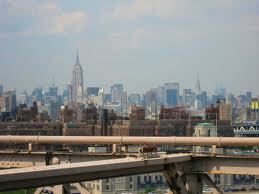 This area of Manhattan is known as SoHo, this name comes from 'South of Houston' Street. This hip area is a mecca for all shoppers. All of the trendy stores are located here Prada, Coach, etc. I shop as Mr.P takes photos of this district. The architecture is beautiful and lovingly maintained in the Cast Iron District. Get lost on the back streets and discover the 'true' New York. Mr.P and I find that getting lost and accidentally stumbling across an unknown store, jazz club or a kitchy bowling alley is more fun than a structured schedule. 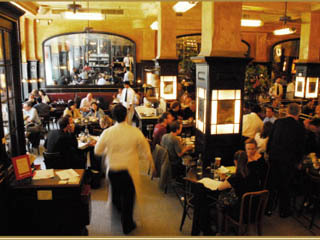 When we are about to run out of steam we head to the corner of Broadway and Spring where one of the best restaurants in Manhattan is located. Balthazar. This is the place to stop for fantastic, traditional French Bistro fare. They have a varied menu with selections from grilled trout, steak 'frites', homemade pastas, duck confit, roasted salmon and grilled lamb. You don't want to miss this wonderful treat, call ahead for reservations and enjoy. CHICKEN ENCHILADAS, The Pride of Texas! For The Love of Asparagus! The Inconspicuous Traveler Takes a Mini-Break.